There are certainly other threads floating around on this topic, or that have this topic within. But I've just found this wonderful video on YouTube, and I felt that this would make for the perfect opener for the topic. While I feel that I have quite a bit of experience with UV Editing in Carrara, I've never really been that great at unwrapping - largely due to my incredible lack of experience making complex enough models to require such a thing. That's where I think that he did a really good job of using an object that has polygons in angles that make such an operation truly beneficial. 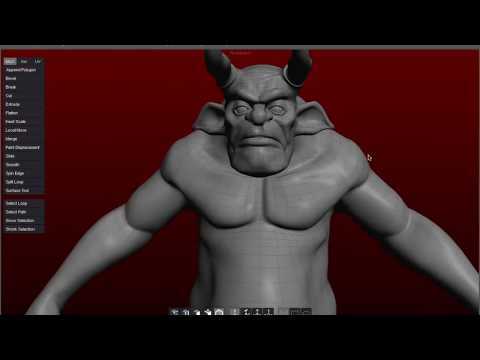 I think that my biggest dilemma lies in creating the right seems as well as simply trying to do too much in a single mesh instead of making the model up from several more basic shapes - techniques which I'd love to work on when I have the time and ambition. The fact remains that "I" don't intend to be a modeler by trade or even for my own production, yet I do still enjoy modeling as well as UV Mapping and Editing. But even beyond all of that, I also enjoy learning stuff like this simply to hopefully be of some value if somebody needs help and nobody else is listening or able to help. Keith, if you're listening, thanks for making this wonderful video. I really like how clearly and concise you've made it, I like the job you did in recording it, I just really like the whole thing! I hope you consider continuing to produce videos for Carrara! 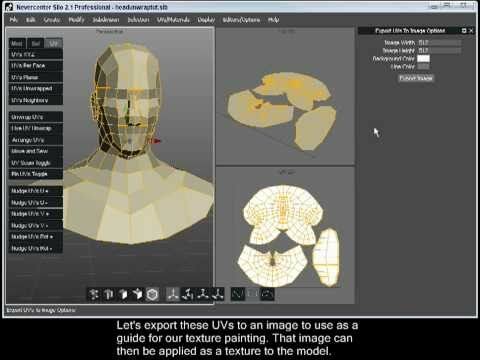 I'd also like to add, although many of you have heard me say it before, that PhilW's Advanced Carrara Techniques video course covers a lot of UV Mapping techniques and strategies right from the beginning of the series - even covering more complex shapes and discussing tests and such. 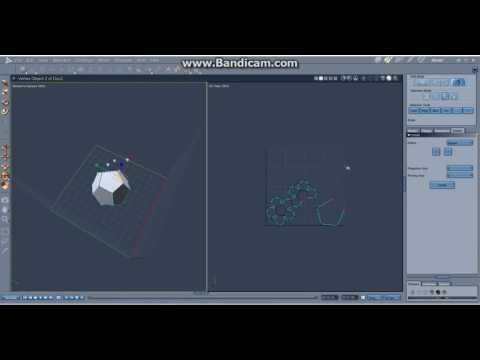 It also covers a lot of modeling techniques using various methods and various modeling tools within Carrara. See that cool Sopwith Camel Bi-Plane model on the cover? Beyond his awesome full course instructional video sets, PhilW also offers a whole slew of wonderful Carrara Products! mmoir's wonderful Carrara Modeling Tutorials product also has some great modeling instructions and takes us from start to finish, including building our own shaders from the ground up. Mike is a true Pro, and this is evident in all of his other wonderful Carrara Products as well! And Mike's series too is excellent for covering the modelling basics. what was the thing to fix uvwrapping on DS stuff into carrara? to use like .duf stonemason stuff. That's an entirely different issue. I haven't experienced it yet. look here and ask in there for answers to that one. This is where they were talking about it. Open the offending building/prop/object in the UV editor. Select the mesh that was stretched and a panel will open under "UV Mapping" in the Model tab. Untick "Wrap U values". Save. If the checkbox doesn't appear, you probably selected more than one mesh. does the wrap uv values come in handy for anything? mebbe for tiling? Wow... no wonder it's a real drag when there are a lot of items to do this to! Yikes! I tried to do a walk through here. Dartanbeck, Thanks for starting this thread. Can't wait to see where it might lead to. A greener pasture? :) I've added a link to it in my modeling thread... 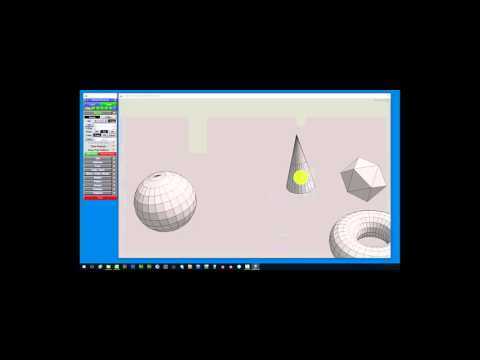 Modeling Objects in Carrara - Q&A - Come One and All. Thanks also for mentioning Mike's, mmoir's, modeling Turoial... helps me remember to watch it all over again. Thanks again Dart. I've seen it and must go back to follow diomede's steps when I find an extra moment... Sonja mentioned the link on Ice Dragon Art WIP's so I've also added just that link you mention to my modeling thread... the main thread link was already mentioned. Just what does UV refer to? I'm sure it isn't UltraViolet. :) I look at U and V referring to X and Y in a 2d world... X is horizontal and and Y is vertical. U and V are mentioned in Shader settings like bricks, tiles and others. If I understand this right, probably not, when an object is UV Unwrapped the islands created are actually flat representations of, in the case of a tube, each end and then the tube all flattened out. Wouldn't that equal 3 islands?... one rectangle and 2 circles. Do I understand this right so far or am I way off course? In 3D,. the position of geometry uses XYZ ,. since both of these coordinates systems are used within the same program, it's important to avoid confusion,. a long time ago,.. it was decided to use UVW to represent the position of colours when it came to projecting the 2D image onto the 3D object. 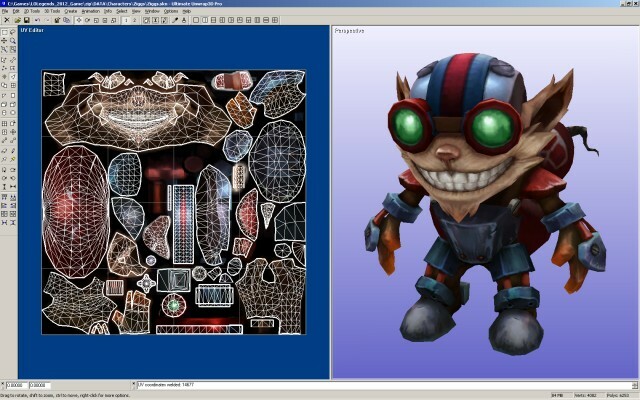 The term "UV map" is also easily confused with the exported "wireframe" image, which is used as a texturing guide,. You're right about the way that UV mapping and unwrapping works,.it flattens the 3D geometry onto a 2D plane. As I understand it, U and V are the axes of the 2d texture map, U being horizontal and V being vertical. Generally they're in the range 0,0 (bottom left) to 1,1 (top right). You can't use x, y or z for the map coordinates, since they already refer to the model's position in 3d space. And the exported map is the template of the mesh unwrapped according to it UV mapping to a 2D plan. This is most confusing... I've never thought of a 2d texture map as having an axes. In my programming for tmaps for a 2d application 0,0 is the (upper, left) pixel position for both x and y... move to (right,lower) = (image width-1, image height-1). Actually x at 0 would be anywhere along the left and y at 0 would be could be anywhere along the top. I can understand, me thinks that (1,1) would be the (image height-i, image width-i) where i is a variable for the the total of pixels in increments... or something like that. In celebration of speaking with my friend, David Brinnen, in another thread, it has come up that he's using both Modo and UV Layout in his current workflow. Another friend of mine, Garstor, is using LightWave and UV Layout. RE: UVLayout. I checked the website. There is a trial version so always go for that. The other versions are too expensive for me right now ($200 for hobbyist version), but definitely have my eye on it. And it needs a USB dongle too (and new macs only have USB-C, so that would mean another dongle to use the dongle!) Not a chance. And it's $400 to get the undongled version - even less chance! It does look interesting though, and if they did hire purchase through Steam (like Substance), I'd probably consider it. Wendy uses Ultimate Unwrap, which also offers a Free Trial Version. She uses Pro, I believe. Better price, but Windows only, so still a no-go for me. ...and thanks for giving me the proper video address!!! You ROCK!!! I really like this features. I can see why so many pro modelers are switching. Even 3DS Max and Maya users are dropping their high-expense subscriptions and making the move to Modo. Wow. Why wait for a sale? Silo is slightly less than UV Layout! I bought Silo a while back in a sale as a program to fall back on if Hexagon dies on whatever system I have at the time. From a slight play-around with it and from its reputation I know it to be a great program and if it wasn't for Hexagon I would be using it all the time. For UV mapping, sculpting and other modelling as well as 3d painting and re-topologising (etc.) 3dCoat is worth checking out as the year draws to a close. There have been a few times that the one and only price drop of the year has taken place at Christmas time. Since early in the year I've done virtually nothing with the programs I have but I did play with the 3d Coat upgrade and found the program and especially the Voxel Sculpting to be working very very nicely for me. I promise myself a week of intense learning of this some time. I bought the tutorials for 3dCoat which were sold by DAZ a while ago but they were for a previous version with interface differences. Having practiced a bit on my own the tutorials are more useful now. PS for Dartanbeck - As said, I haven't been active but owe you belated thanks for your kind comments on a few seconds of animation I showed. Well off topic but thanks anyway.